Tuberculosis (TB) continues to be a leading cause of morbidity and mortality globally and HIV/TB co-infection remains a major threat. TB infection in HIV patients has different clinical presentations and manifestations, thereby being a diagnostic challenge as well. AFB sputum microscopy remains the diagnostic test of choice for pulmonary TB in resource-limited settings despite reports of eroded sensitivity in people living with HIV. To improve the chance of detecting AFB by microscopy, national guidelines recommend collection of two sputum specimens instead of one specimen, though providing dual specimens is often a practical challenge for HIV infected individuals. Hence a team of researchers from Chennai had evaluated if concentrating single sputum specimen could improve the sensitivity of detection of TB by sputum smear microscopy. Considering the increasing number of reports of Mycobacteria other than tuberculosis (MOTT) as opportunistic pathogens in immune-compromised hosts and most MOTT cases tend to be smear negative and culture positive, they had also evaluated the performance characteristics of concentration method to detect Mycobacterium tuberculosis (MTB) and MOTT rather than AFB detection. The study involved sputum specimens from 146 HIV infected patients and 403 HIV status unknown patients presenting with clinical signs and symptoms for TB. 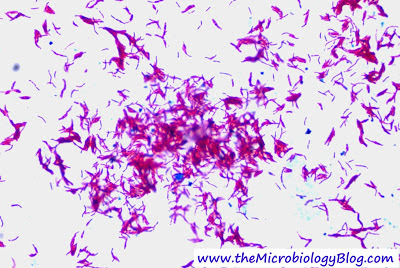 Direct sputum smear and smear from sputum concentrated by modified Petroff’s method were made and stained by Ziehl-Neelsen method. AFB culture was performed by BACTEC TB 460 radiometric method as the reference method. Results of direct, concentrated sputum smear microscopy were compared with AFB culture results in a blinded evaluation. McNemar’s test and two-sample proportion tests were used and statistical analyses were performed using GraphPad Prism ver5.0 and SPSS ver12.0 softwares. Concentration of single sputum specimen was found to significantly improve the sensitivity of AFB smear microscopy in HIV infected TB suspected cases and also in HIV status unknown TB suspected cases. When the performance characteristics of direct and concentrated single sputum smears in detecting MTB and MOTT were separately analyzed, the concentration method significantly improved the sensitivity to detect only MTB to two-fold among HIV infected subjects. The sensitivity of detecting only MOTT among the HIV infected TB suspected cases plunged to 9.1% and upon concentration of sputum specimen, the sensitivity of detecting only MOTT increased to 36.4%, though not statistically significant. Thus, this sputum concentration method could be helpful to increase the sensitivity of TB diagnosis, particularly for HIV patients in resource-constrained settings with limited access to culture based TB diagnostics. Reference: Could concentrating single sputum improve the performance of smear microscopy in detecting TB among HIV patients? The Journal of infection.2012; doi:10.1016/j.jinf.2012.09.015.